Mysticism is popularly understood as becoming one with God or the Absolute. 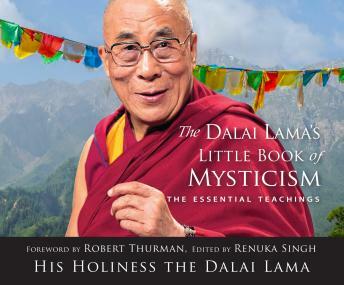 In this inspirational book, the Dalai Lama's thoughts on the nature and meaning of mysticism, how we can live lives infused with mystical experience, and how mysticism can result in both personal and social change are revealed. The book consists of four sections-an introduction, quotations, a lecture on mysticism by the Dalai Lama, and a glossary-that provide an accessible introduction to the Dalai Lama's core teachings concerning the mystical path and how a rich and meaningful inner life can result from following it.